This class fee is different from regular price and it is limited to women only. We will focus on “hip”, “waist”, and “upper arm” which include anaerobic and aerobic exercise to burn fat quickly. More information is coming! Come and join us!!! If you are a member of HIDE’S KICK!, it is only 1000 yen per class to join Master Nishi’s Boxing Class. Master Nishi is the first world champion heavy weight boxer in Japan and he was the most powerful boxer of his day. He can teach you in both English and Japanese. English speakers! Come and join us!!! “Jyujyutsu class” for parent and child. Every Sunday, we have “Jyujyutsu class” for parent and child. If your child want to join alone, no problem. It is a great class for family activity. The activity in this class is for children which include mat exercises. If we have a fight match on Sunday, this class will be closed. At HIDE’S KICK!, we practice all together as one group. If we have beginners at the time, we adjust how we practice based on the beginners. In this way, nobody get hurts during the class and we can all enjoy the class. Midnight class is from 10pm to 12am. 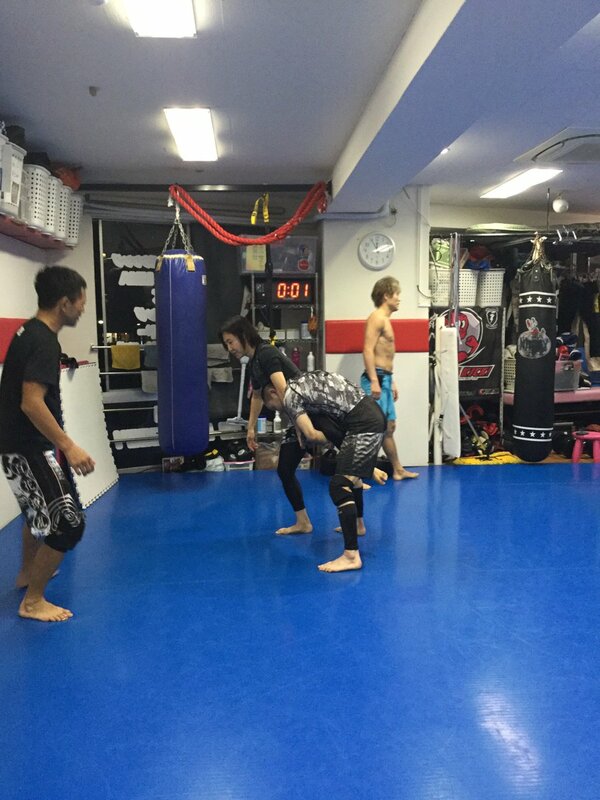 The experienced fighters tend to attend the midnight class. Nowadays, we see some fighters who are getting ready for the fight meet. The mid night class might be the most exciting class now!